Acceleration Radio: He Is RIsen! + Prophecies of the Passion! Last night the History Channel hit a home run, with their two hour program on the enigmatic Shroud of Turin. I thought it was a stunning expose that left the NatGeo presentation looking shoddy and self serving. I was especially captivated with the what may be the actual face of Jesus. Barrie Shorwtz and Russ Berault, both who I have interviewed on Acceleration Radio made numerous appearances! Hat’s off to all involved! Tonight on Acceleration Radio, don’t miss a special two hour presentation! The first hour will be a presentation of He Is Risen. This a fully orchestrated one hour musical interpretation of the passion of Jesus. He Is Risen has been performed live throughout Southern California to sold out crowds and standing ovations! The music is intense and will captivate you as it weaves the story of the last hours of the death of Jesus. Afterward, in the second hour I will talk about the prophecies that were fulfilled during the 24 hour period of Jesus’ arrest, trial, scourging, crucifixion, death and finally three days later His resurrection! You wont’ want to miss this special edition of Accceleration Radio! We are going to a two-hour live show by popular demand! 7 to 9 pm. PST. New Show on the Shroud Tonight! 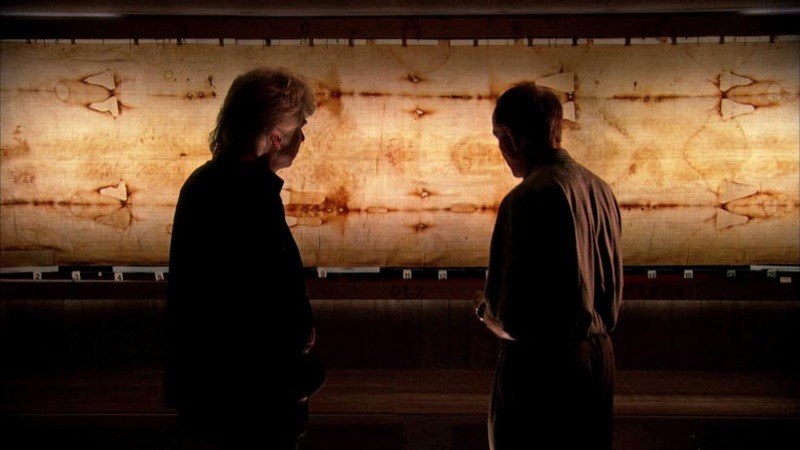 There are two shows on the Shroud of Turin. One, that I caught parts of was aired on the Nat Geo channel last night. The other will be aired on the History channel and I would wager that the later is the show to watch, here’s why. Nat Geo has an ax to grind and it is this. They don’t believe in anything supernatural! I recently had a conversation with a friend who objected to my calling the Bible, The Guidebook to the Supernatural. Supernatural is a relatively modern word, it appeared in the 15th century and here’s what it means. “Touched by Jesus” will air on the National Geographic Channel on Monday, March 29th. I have no details about this program but here is the overview from their website: “Faith, by definition, means belief without proof. But what if science could shed light on some of Christianity’s greatest mysteries? Using laboratory blood tests, fiber analysis and carbon dating, we’ll put three controversial claims about Jesus to the test. Can true believers experience his suffering through spontaneous stigmata? Was the Shroud of Turin the actual cloth in which Jesus was buried? Did Jesus marry and have children?” Here is a link to more information: http://channel.nationalgeographic.com/episode/touched-by-jesus-4917/Overview#ixzz0iqlKELYO I do not have the airtime for this program, so check your local listings for times in your area. Don’t miss Acceleration Radio tomorrow night as I will feature He Is Risen without commercial interruption. This is a fully orchestrated, passionate, and intense, musical interpretation of the passion of the Christ. Jesus never, and I repeat never said, “to be ready to defend ourselves using the sword and stay alive using equipment.” In fact, He said just the opposite. He said, he who lives by the sword, dies by the sword. 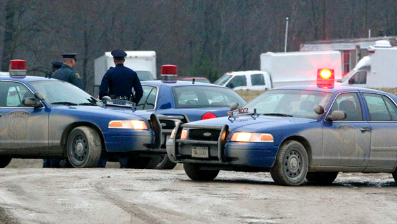 While we should be prepared to defend our family in times of emergencies, like the lawlessness that plagued the good people of New Orleans in the aftermath of hurricane Katrina, in no way should we organize a raid against a group or anyone else for that matter, just because they have a different ideology than we do. That’s what great about our country, the rule of law, not the gun. I believe we are in the last days. I BLOG about this, and appear on many shows discussing the signs that seem to be pointing to the return of our Lord. For people who don’t know about Biblical prophecy a group like the Hutaree can do more damage than good. They come off as fanatics, and wild-eyed loons. They also take scripture out of context like the passage I pointed to above. I believe that we will see the rebuilding of the temple without the destruction of the Dome of the Rock. The person who orchestrates this will be none other than the Antichrist. Some of you may disagree with me and that’s fine, but when I read an article like the one I linked to above, it becomes very clear that this will, at some point become a reality. Prophecy is the future written in advance to show us that there is a good God that is outside our space/time continuum. Much of the prophecy which has not been fulfilled centers around the nation of Israel. Those who hold to the tenants that the church is Israel will never have a clear understanding of prophecy. In closing todays post, passages in the Bible have been misinterpreted throughout the centuries. It is why we are told to take the whole of God’s word and not to cherry pick one scripture that support one position. My friend Bill Salus, who has appeared on Acceleration Radio several times believes that the next major prophetic event will be the fulfilment of Psalm 83. He may be right! However, I believe that this already occurred in the war of 67. We agree to disagree and we watch and see what will come to pass. That’s a healthy view on the end times and Biblical prophecy. Sadly, Biblical prophecy will be taken out of context by the media, and that which was given to us by a good God and separates the Bible from any other book on the planet will be looked at with suspicion, thanks in part from this group taking what it says out of context….. This week on Acceleration Radio I am going to play the entire He Is Risen CD because it is the Passion of Jesus set to music. It will be performed in its entirety. You won’t want to miss this special presentation! Please don’t be alarmed by the todays title. It’s a line from a song that was made popular by the Blues Brothers, specifically, Dan Aykroyd. The song was called, Rubber Biscuit. It used to crack me up and I do a fairly good impression of Aykroyd singing it. Every Sunday my wife or I will say, “time for a Sunday-go-to-meeting-bun… bow,bow,bow! So please don’t be offended by my seeming lack of respect for the day. This is a new feature and if the feedback is good I will continue it every Sunday. Seventy weeks are determined upon thy people and upon thy holy city, to finish the transgression, and to make an end of sins, and to make reconciliation for iniquity, and to bring in everlasting righteousness, and to seal up the vision and prophecy, and to anoint the most Holy. Know therefore and understand, [that] from the going forth of the commandment to restore and to build Jerusalem unto the Messiah the Prince [shall be] seven weeks, and threescore and two weeks: the street shall be built again, and the wall, even in troublous times. Now listen and understand! Seven sets of seven plus sixty-two sets of seven will pass from the time the command is given to rebuild Jerusalem until the Anointed One comes. We know from archeological evidence that the decree to rebuild Jerusalem was given by Cyrus, and if we count the seven sets of sevens, which are years, we arrive precisely at the date of when Jesus rode into Jerusalem which we celebrate as Palm Sunday. This is the only time in Jesus’ ministry where he allows himself to be worshipped as a King. This event is what drives the Pharisees over the top and they then seek to kill Him. The Pharisees challenge Jesus, asking Him to stop the people from crying out, Hossana! Blessed is He who comes in the name of the Lord! Jesus declares, that even the rocks would cry out if they are silenced. I take this literally – but that a discussion for another time! Jesus is fulfilling prophecy as he rides into Jerusalem on the back of the donkey. This is from Zechariah 9:9 Below are the exact phrases. So not only is Jesus fulfilling the prophecy of Daniel but also of Zechariah. What is sobering is that the people who were living at that time did not understand what was happening, including the religious leaders of the day. We see Jesus weeping over Jerusalem saying, Jerusalem, Jerusalem, how I would have gathered you as a hen gathers her chicks but you did not know the day of your visitation…. In other words, Jesus is holding the nation of Israel collectively responsible for knowing and understand the prophecies! This is what happened on Palm Sunday. The Messiah rode into Jerusalem, precisely to the minute, on the back of a donkey, fulfilling not one, but two prophecies and yet they missed it! Are we any different today when we are warned from the same book, including Jesus own words that when the son of man returns it will be like the days of Noah? The church is steeped in tradition and unfortunately most people don’t understand the prophetic significance of the day that we are celebrating! All of that to say this. Wake up, we are in the days of Noah! His return is soon! Available Now in Our Bookstore! He Is Risen is a fully orchestrated musical with world class soloist and choral elements. 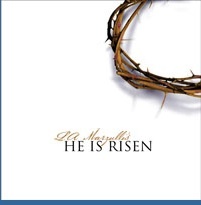 It is a powerful musical representation of the passion of our LORD! BREAKING NEWS: North Korea Fires on South Korean Ship!